Cherish the moment – on German-American relations. Or something. The past two weeks haven’t been much different from most of my weeks this year. There have been many good things: I spent time with a lot of great human beings, I listened to some good music, ate delicious food, I sat in the sun – I even had time to read one or two inspiring lines most days. Of course, there have been a couple bad things as well: a heart attack, miscommunication and arguing, the usual fight with ghosts (sometimes they just surprise you with their great left hook), every-day trifles that stress you out like the water heater leaking all of a sudden. I don’t have a caption for this one – just look at it. I’ve decided to make this my philosophy (as much as possible) – which brings me to one very important, very cherishable moment in terms of German-American relations, at least for me. Don’t be afraid: I’m not talking politics. I’m talking – who’d have thought – sports (yes, I’m a sports fan, who knew, right?). 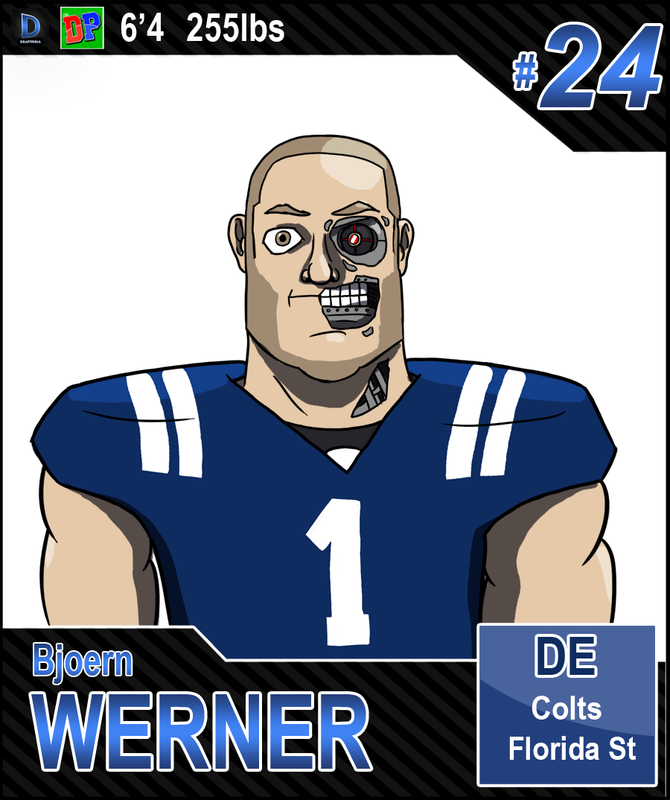 It’s NFL draft season and I’m proud to report the Indianapolis Colts drafted a fellow countryman of mine: Björn (you know it’s German when there’s an umlaut) Werner (my last name too! Maybe we’re even related!?). That means now there are TWO Germans on the NFL (the other one being the Patriots’ Sebastian Vollmer, of course) and I am SO EXCITED (that’s right, capital-letter-excited!). Ok, he’s not that photogenic. Hold your horses, though, and don’t get out the case of (German) beer and party hats just yet – there’s more news. German-American baseball player Donald Lutz (who’s already on the German national baseball team … yes, there is such a thing) made his MLB debut with the Cincinnati Reds last week – and he isn’t doing too badly. 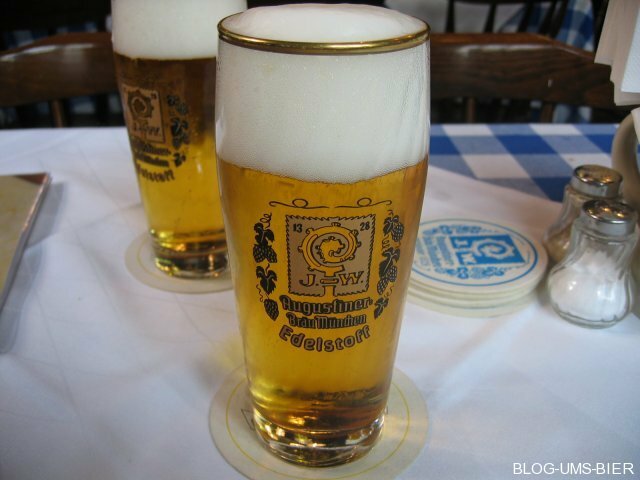 Okay, now get out the Augustiner, folks. Of course, you may ask yourself: why is this German chick so excited about all of this? Well, it’s very simple: I’d prefer a football/baseball game over a soccer match any day. Because even a boring football/baseball game is more exciting than most of the soccer matches I’ve seen lately. Besides, the outfits are better, too. More to the point, though: there’s a lot of diving and whining and blaming the referee for everything that went wrong for your team in the end (although that may be a problem with all kinds of sports). To be fair: I’m talking German soccer. UK soccer, for example, is still a different thing – but that’s not going to change my mind, either. So that’s that. Call me crazy or call me maybe, I don’t care. I’m just going to cherish this moment – I’ll enjoy the baseball season while it lasts and I can’t wait for the football season to start. I’m so excited, I’ll even care a minute which one of the German soccer teams is going win the Champions League in a couple of weeks (Go, Dortmund! ).